Equal parts instinct, art, and science, baking bread is one of my favorite things to do. And as with most of my hobbies, it doesn’t take long for me to see God right there in it. Baking bread and following Jesus have much in common, not least of which is that people have been doing both for thousands of years. The best bread is real and made with love. Same applies to Jesus—he is best revealed in the flesh, face-to-face. One of the images I use to introduce our Sunday Meetings is that we are making the meeting together. We are the church. We aren’t just there to sample the food to see if we like it. We aren’t just ordering off of a menu. We’re making the meal. Our hands are gonna get dirty. So, let’s punch some dough together. Let’s make it happen. Of course, I’m not the first one to think of this image. John calls Jesus the Bread of Life, when he feeds the five thousand. The communion meal is centered, in part, on bread. The Kingdom of God is like yeast, too. As sourdough makers know, the air itself contains everything you need to add to your bread to transform it from water and flour into something great. It takes time, feeding, and attention for this to happen, but soon you’ll have caught something amazing. The same is true for our spiritual lives—we need to catch the Spirit and a big part of that is just an open posture. Be available for the Spirit, not stubborn or resolute. We don’t know which way the Spirit chooses to blow. Of course, it might not happen so perfectly. 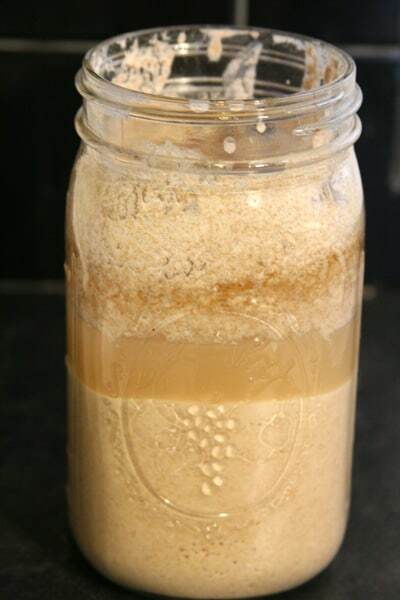 Plenty of sourdough starters fail. So, it’s OK to just pitch some yeast yourself in order to get things going. You may need to borrow a piece of someone else’s starter to get something going, too. Similarly, doing your spiritual life in community is helpful because you can grab a bit of what someone else’s got. There’s nothing wrong with sharing the passion and not being so concerned with doing it all yourself. You didn’t make the yeast either. The bread needs to have some food to grow and develop flavor. It isn’t enough to catch some passion, we have to keep our passion fed. In the case of sour dough, you have to keep feeding the bread to keep it maturing. When it comes to baking, for most bread, flour has enough fuel to keep the flavor, but a bit of sugar or honey can get the yeast really going. The spiritual disciplines of prayer, fasting, study, community, and worship are great ways to keep our faith fed. Our faith can’t go on cruise control, and neither can your bread. It won’t work. Keep the fire going. The doing part of the church is important to being a follow of Jesus, too. Being engaged in a mission keeps us resilient and helps give us strength and confidence. Similarly, that’s what kneading bread does, too. It agitates the gluten and gets it create some structure. Not enough kneading and the bread won’t proof, and the crumb won’t be chewy like a nice piece of bread should be. You can definitely do this all alone and by hand, if you want. But it’s a lot more work. Most of us use a KitchenAid. Perhaps the church itself is a similar machine, fit with opportunities to serve and resources to make your dreams possible. The third step is all about work. You’ve gotta move with the Spirit and get something done if you want to follow Jesus. But if you don’t rest, if you don’t relax, the stress you’ve built up may very well harden you and make it impossible for you to adapt in the future. 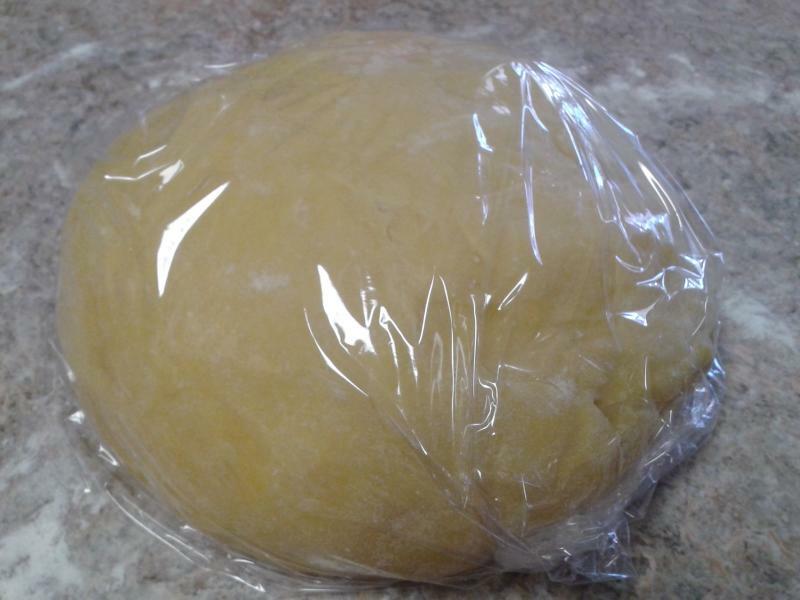 Resting dough in the fridge relaxes the dough and allows it to be shaped. Pizza makers need this trick so their structured dough doesn’t just spring back at them when they are stretching it. They also need it so that the dough is well-hydrated and not sticky. You’re hard to handle without rest. But the resting period also develops depth, both in bread and in Spirit. At this point, you may be tempted to throw your well-fed, kneaded, and rested bread into the oven. But don’t do it prematurely. 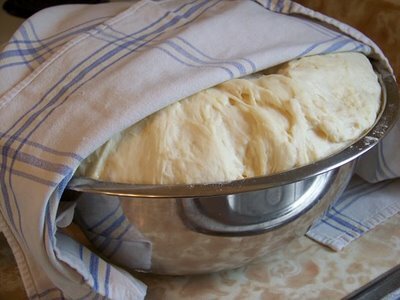 When it is resting at room temperature, bread rises. The bread releases gas that the well-structured and elastic gluten network catches. So the bread literally blows like a balloon. This takes time, attention, and patience. If you neglect the bread, it will overproof. So it’s about patiently watching. So stay alert, but be patient. The same goes for our faith. Don’t be anxious. We are looking for the best opportunities and we have to make the most of them when they come. But this isn’t work that happens in a rush. Wait, rest, proof. Be filled up with the Spirit and anticipate the right time to act. Be ready, not rushed. If you never get going though, you may miss your window. At the right time, slide your bread into the oven and watch it transform from a raw, inedible piece of dough into something that is just good to eat. Transformed Christians are visibly different, and usually people notice. They are light but deep. They have substance but aren’t too difficult. They are just like good bread, with its rustic crust and chewy crumb. Some of you may have tuned this out halfway through the bread lecture, but I hope you got something out of it, even if it was just a little motivation to try your hand at making bread. The truth is, we all can do it, and we can all be deployed in the Spirit. We have what it takes. It’s in the air.